I just got in from my sabbatical and couldn't wait to share what I came across just before I returned home from vacation. And now the people of Gotham City...the moment you've all been waiting for. The grand finale. The climax of my performance. The zenith of my career. 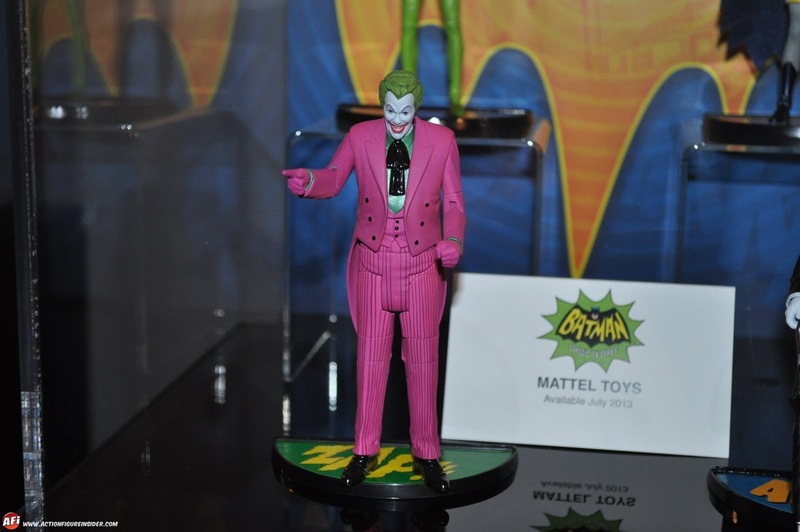 The unveiling of the Mattel Batman TV series Cesar Romero Joker action figure. Finally we get a glimpse of what else is to come this July. Also, Comic-Con will be adding insult to injury this year. 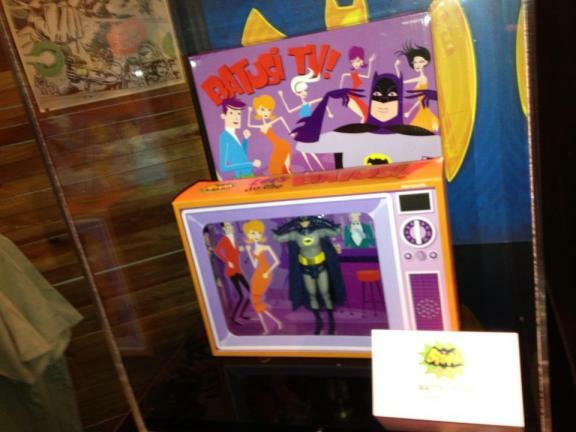 First by me not able to get tickets again, but that this exclusive Batusi Batman will be a SDCC 2013 exclusive. This iconic dance first seen in the pilot episode "Hi Diddle Riddle" will also be another version availabale of Batman along with the other two versions we've already seen, but it will only be available at this years SDCC. I guess I'll be shelling out some bucks on eBay if I don't get tickets. I guess it will still be cheaper than going to San Diego at this point. What does everyone think? Is this getting your Bat-juices flowing even more? Anytime sir. I'll share more as I find out. Love it! But where is Surfin' Joker to go with our Surfin' Batman? Haven't seen him yet JBoy. Hopefully, Mattel hasn't screwed things up. 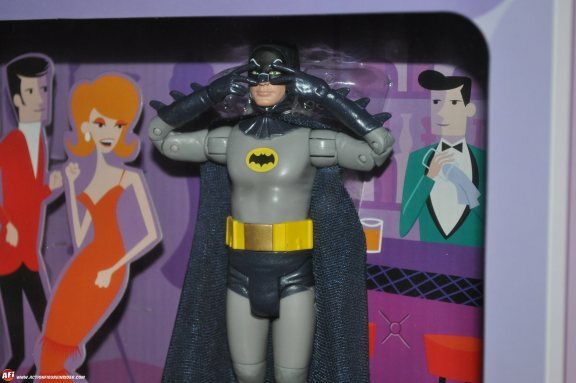 My jaw dropped when I saw batusi Batman. Since I live in NYC and there's no way I can make SDCC I will be going by way of the 'bay for it. Me too Mike. I was not expecting any exclusive figures from this Batman line at Comic-Con, but unless I get end up getting tickets I'll be on the hunt else where for it too.